The eaves detail shows where the roof members, and coverings, meet the wall of the dwelling. The cavity is closed with a proprietary cavity closer. The wallplate is secured to the internal wall, separated by DPC. The wallplate is then used to secure the rafter to. A notch is taken out of the rafter, known as the birds mouth, ensuring a strong fixing which can then be secured to the wallplate. 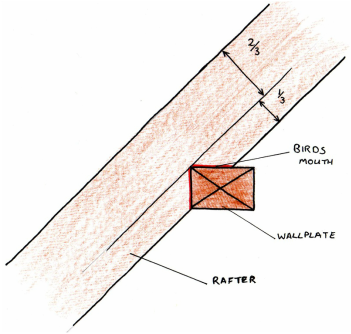 The birds mouth must not exceed 1/3 the width of the rafter to ensure it does not weaken the rafter. The fascia board is attached to the end of the rafter, with the soffit board attached to the underside of the rafter. The ceiling joist also rests on the wallplate, with the required insulation between each joist. 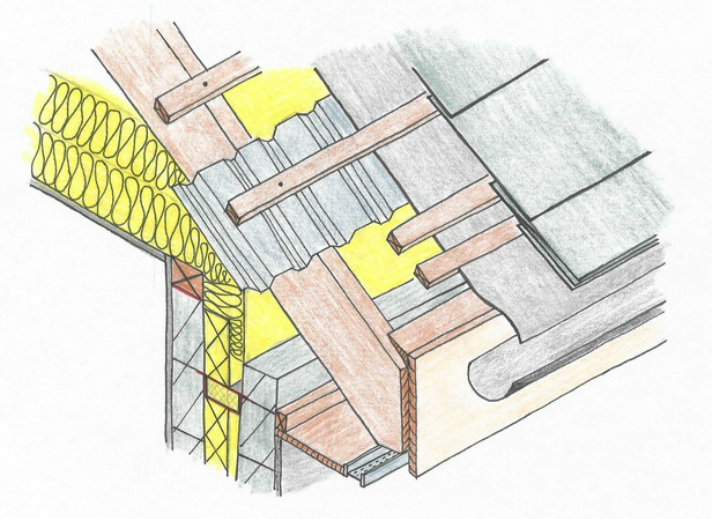 A tilting fillet ensures that the underlay does not sag behind the soffit board. 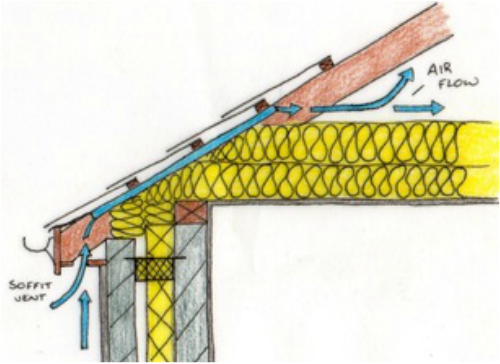 Note the continuous ventilation strip in the soffit and the ventilator installed to ensure the air can flow past the insulation. 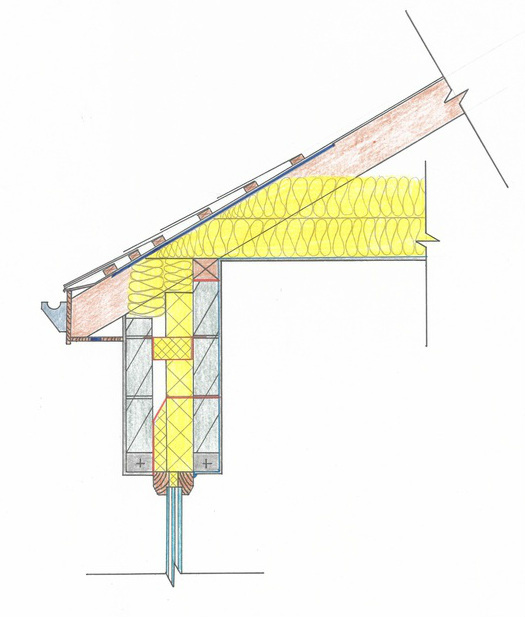 This video shows the most effective approach for drafting the drawing of the eaves detail. Note: Labeling and material symbols also need to be included.